Former president of the republic, Jerry John Rawlings has been heard jokingly stating his wish to come back to power for "just one year". In a funny clip on Joy FM's "Flip Side", the ex-president was heard saying that his one year in office will be only aimed at addressing issues related to the water sector. "Sometimes people ask me, won't you like to come back to the office. I'd say no but actually, if you have to give it to me for one year I'd just like to deal with the water sect," the report claimed. The funny comment by Jerry Rawlings follows his stern-looking handshake with a former president, John Mahama at the Republic Day anniversary. 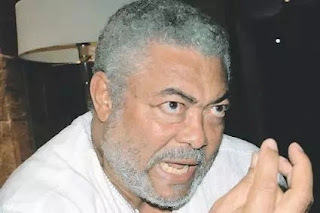 In an interview with Ghana Television (GTV), he stated that he has studied Rawlings’ general behaviour and has therefore learnt to act accordingly. In that respect, he added, he (Mahama) has nothing against Rawlings.